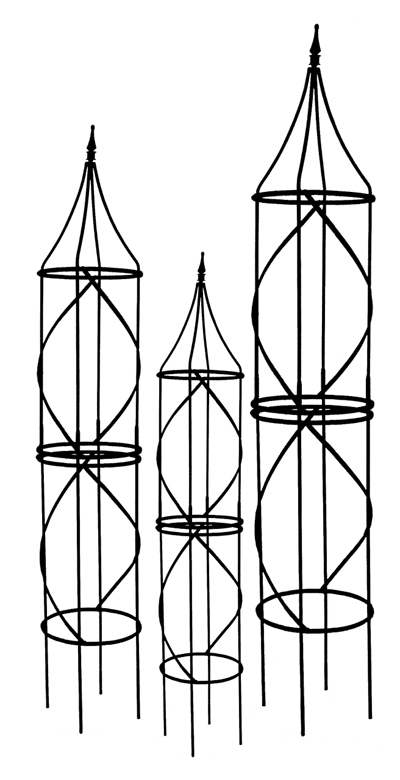 Solid Steel Obelisk Tuteurs are enlivened with dramatic swirls. 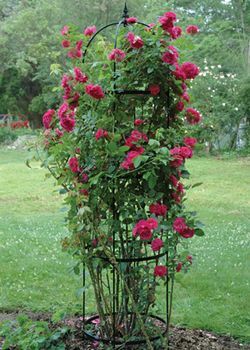 Perfect for rose and clematis combos--or many delightful climbing vines. 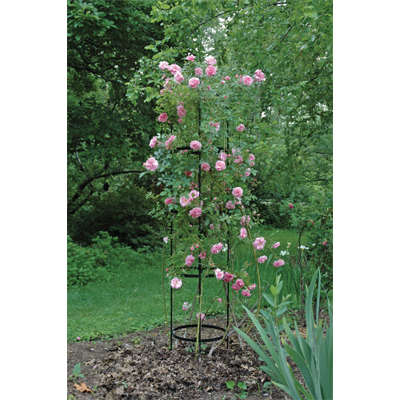 Use singly or in groups of three or more to add vertical interest to borders or flower beds. Powder coated black. Shipped knocked down. Easily assembled. Some assembly required! But they are lovely in the landscape!